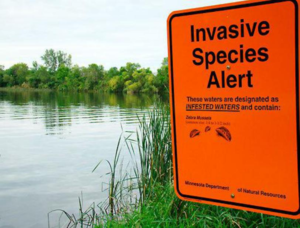 Invasive species are a hot topic in the contemporary worlds of biodiversity, conservation and science policy. Conveyed by humans, there are few places in the world’s oceans still untouched by their global spread. However, scientists and policy makers now have a powerful tool in their arsenal to push back. Recent advances in DNA sequencing technology have made the exploration of an organism’s DNA much more accessible, allowing unprecedented insight into the past, present and potential future of invasive species. This talk will explore the current and developing DNA techniques that scientists are using to study and control invasive species, including work currently being undertaken at the National Oceanography Centre. It will also demonstrate how this front-line science can feed into public policy, and guide legislation towards tackling future marine invasions. Steven is a 2nd year PhD student in the Ecology and Evolution lab, a part of the Marine Biology and Ecology Research Group at the National Oceanography Centre in Southampton. His research revolves around invasive species and their ability to adapt to novel environments. To achieve this, he focuses on their DNA, exploring how their genetic makeup shows the rapid adaptation that has enabled them to become such successful global colonisers. Through this work he will contribute towards knowledge of how different environments induce adaptation in organisms, and more broadly, how it indicates animals may adapt to a changing climatic future.